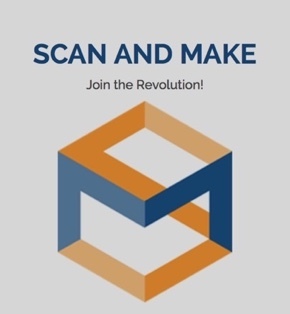 3DPrintWise really likes these free models for 3d printing. Download the STL files here and try them out. Sometimes it is just nice to make a page offering a few free 3D prints to download which are really great. Here we provide digital files for a 3D printed elephant, a 3D print of the Eiffel tower and a set of 3D printed slinks (slinkies). There is no need to explain what this 3D print is or why. It is simply homage to one of the world’s greatest architectural structures. Gustav would be chuffed! As we are based in La Belle France, it is no surprise that this FREE model of the Eiffel tower is one of our favourites. As a world renowned landmark, what better way to demonstrate how 3D printing can be used. The detailing is quite impressive when made on a Makerbot Replicator 2. It only needs a little figurine on top ready to do a base jump with his parachute or wing suit. The model for 3D printing comes in 7 parts which can be glued together. It is a challenge to make (according to reviews) but we think the result is rather satisfying. Enough to share it. 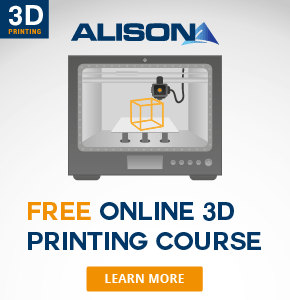 Editor’s Opinion: What a great model for 3D Printing. Hats off to leFabShop who have allowed it to be freely shared. One of the crew made it and you can see the results in the blog post – Eiffel Tower. It is a difficult project as stated above but there are several reviews on Google+ to say 3D printing this model works out just fine. Super! 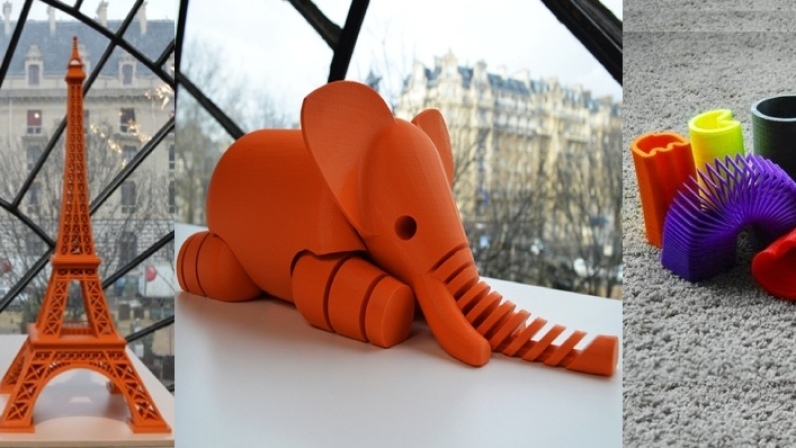 A 3D printed elephant also from leFabShop that we are nicknaming 3D Dumbo. LeFabshop is a French company and they sure have style. This articulated elephant is elegant and shows a talented designer has been at work. The elephant 3D print comes in 2 parts which can be fixed together. Editor’s Opinion: The nice curves and simple lines on this articulated toy elephant are superb, even when made on a Makerbot Replicator 2. It only needs a little boy riding on it and I think of India. Download it now for FREE ! 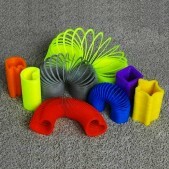 A set of 3D printed slinkies or slinks. Commonly referred to as slinks, a slinky or even le slinc. A nice gift if you can stop playing with them yourself. These can get seriously addictive in your hands and very annoying for the person opposite. Such a cool set of slinkies which are of course absolutely pointless but they will provide hours of amusement. Print a few of them and you could keep a group of children (adults too) happily occupied all day. Editor’s Opinion: Takes me back to being a young child when we had ones made out of steel. My parents could not get me off the stairs – boing boing boing! Legal Stuff: The 3D printed 615 mm Eiffel Tower and Elephant designed by LeFabShop (French) + Slinkies created by Hercemer are licensed under the creative commons license – Attribution-share alike 3.0 unported.